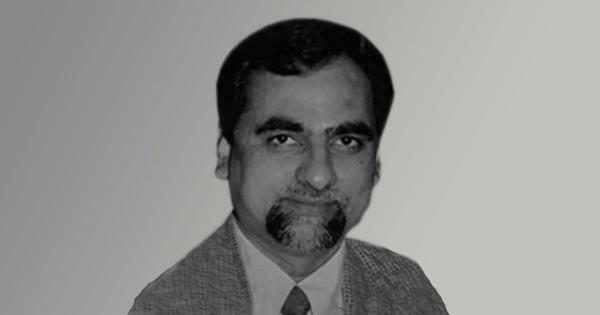 A week ago, the family of CBI judge Brijgopal Harkishan Loya alleged that he had died in suspicious circumstances while hearing the Sohrabuddin encounter case. A week after Caravan magazine published a report about the allegations made by the family of Central Bureau of Investigation judge Brijgopal Harkishan about the circumstances of his death in 2014, prompting calls from several prominent figues for an inquiry into the matter, further reporting has brought fresh details about the case – and some more questions. An Indian Express report on Monday carried interviews with several witnesses at the scene insisting that there was nothing untoward about Loya’s death. 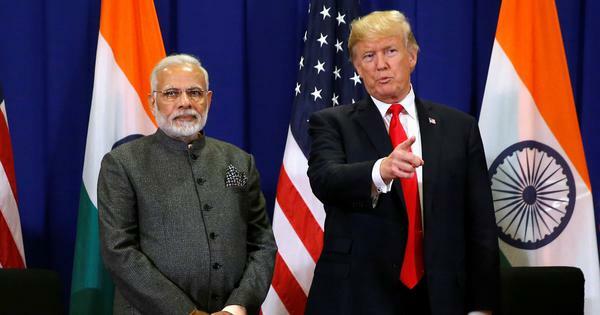 This follows an NDTV report on the case, which also raised questions about some details in Caravan’s story, while leaving many unanswered questions about the affair. Loya was presiding over a Special CBI court in Mumbai, where the only case he was hearing was the staged encounter by the police of alleged extortionist Sohrabuddin Sheikh, in which Bharatiya Janata Party president Amit Shah was one of the accused. Shah was Gujarat home minister when the fake encounter took place. As hearings proceeded after Loya’s death, Shah was discharged from the case. Loya’s family told the Caravan that the judge had gone to Nagpur for a colleague’s daughter’s wedding on November 30, 2014, where he apparently fell ill suddenly and died of a heart attack. The family told the Caravan that there were a number of inconsistencies in the story they were told about the judge’s demise as well as other circumstances that gave them cause for suspicion, from the recorded time of death and the condition in which his body was returned to them to the way it was handled. The Caravan article also quoted Loya’s sister alleging that her brother was offered a Rs 100 crore bribe by Mohit Shah, then the chief justice of the Bombay High Court, to deliver a favourable judgment in the case. Justice Bhushan Gavai of the Bombay High Court, who had accompanied Loya to the wedding and went to the hospital after Loya had died, told the Indian Express, “There was no question of taking him in an autorickshaw.” Instead, Gavai said that a local judge named Vijaykumar Barde drove Loya to Dande Hospital in his own car. The original Caravan report in fact mentions another of Loya’s sisters saying someone identifying himself as Barde had first told her about Loya’s death and what had happened to his body afterwards. Was an ECG conducted? If so, why does it show a wrong date? Biyani, a doctor herself, said that Dande Hospital was an “obscure place” and that she learned later that the electrocardiography unit at the facility, which would have diagnosed Loya’s heart attack, “was not working”. NDTV spoke to the owner of the hospital, Dr PG Dande, who said that Loya had been alive when he reached the hospital with some judges and climbed a flight of stairs while complaining of “excruciating pain in his chest”. Dande said the hospital had a functional ECG which showed a tall T spike, indicating a heart attack, and so the judge was referred to Meditrina, a specialty heart hospital, where he was declared dead on arrival. The Indian Express published a copy of the same ECG report that NDTV referred to, which shows a spike on its monitor. But, curiously, the date at the bottom of the report is 30-Nov-2014, which is the previous day. Additionally the name of the patient is recorded as Brijmohan Lohiya. This discrepancy has prompted some questions about the document. Thank you Indian Express for adding more mystery to the story. Why was there a post-mortem? 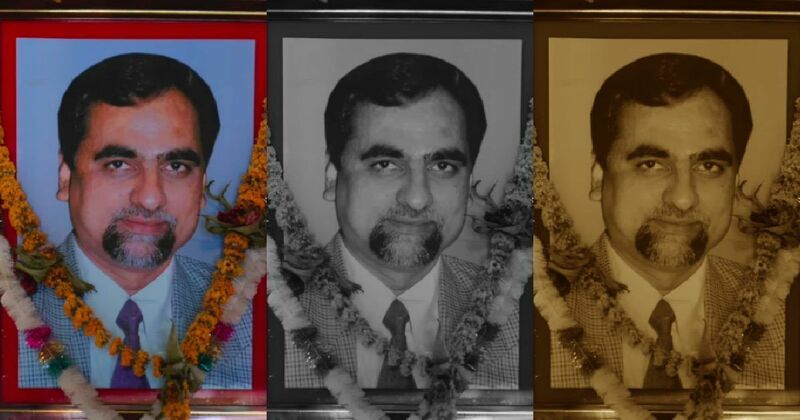 The Caravan report raises a number of questions about the post-mortem conducted on Loya’s body, starting with asking why there was one if there had been nothing suspicious about the death: Why was time of death recorded as 6.15 am when Loya’s family members say they began getting calls about his death at 5 am? Why did unnamed sources in the Government Medical College where the post-mortem was done say it had taken place shortly after midnight? The Caravan makes a claim based on an unnamed source from the college, who said there had been instructions from superiors to “cut up the body as if the PM was done and stitch it up”. The dean of the Medical College told NDTV that it is not uncommon for post-mortem to be conducted on someone who dies abruptly with no history of heart ailments. Post-mortems are supposed to be carried out after the family has been informed of the death. Who signed each page of the report with the phrase “maiyatacha chulatbhau”, or “paternal cousin brother”, when Loya’s father said he has no brother or cousin in Nagpur? 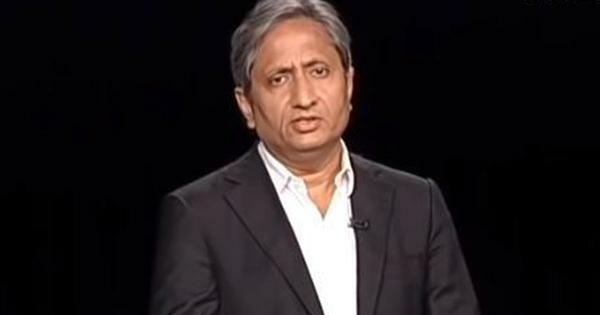 Both NDTV and the Indian Express spoke to the man who claims to have signed the report, a doctor named Prashant Rathi. 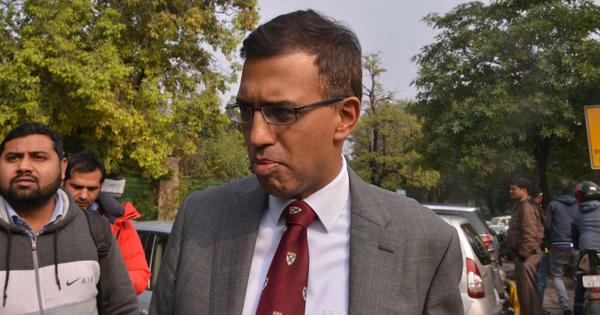 Rathi told the paper that he got a call from his uncle, Rukmesh Pannalal Jakotia, saying that a cousin has been admitted to Meditrina hospital and told him to go offer help. Rathi claims that when he reached Meditrina, he was told of Loya’s death, which he told Jakotia about, and was then told to take care of the formalities. Was there blood on the body? Is that normal? According to Biyani, there were blood stains on the neck at the back of Loya’s shirt, a fact she recorded in her diary. Loya’s father, Harkishan, also recalls blood on his shirt. The post-mortem report, however, describes the condition of his clothes as simply, “dry”. Biyani said that, as a doctor, she knew that blood doesn’t come out during a post-mortem and so, finding this suspicious, demanded a second post-mortem. But she said that Loya’s friends and colleagues gathered there “discouraged us, telling us not to complicate the issue more”. A senior government forensic expert, who has not been named, told the Indian Express blood is “bound to spill out” during post-mortem. NDTV reported that experts have challenged this, saying blood does not normally leak out during a post-mortem. Rathi, the man who signed the post-mortem, told NDTV that the stains could have occurred on the 10-and-a-half hour drive to Latur, where the body was being sent. Was the body sent to Latur unaccompanied? Shivaji Bhokde, the joint commissioner of Nagpur police, gave a different story, telling NDTV that two judiciary officials, and a police constable were inside the ambulance with the driver. Speaking to the Indian Express, Justice Gavai, had yet another version. He said that he told the principal district judge to send two judges with the body. “The two judges were Yogesh Rahangdale and Swayam Chopda, both Civil Judges, Junior Division,” Gavai said. According to Gavai, the judges followed in Rahangdale’s car, with a driver and a traffic constable ferrying them. He also told the Express that the car “developed a snag” a little beyond Nanded and so they reached later than the ambulance. An unnamed source told the paper that the snag was a brush with another vehicle, which delayed the car. 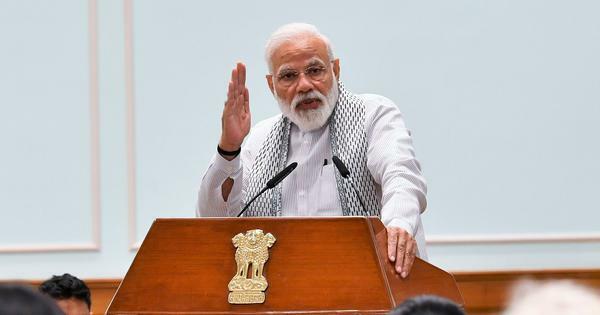 A key individual in the family’s telling of the story is a man named Ishwar Baheti, whom Harkishan, Loya’s father, describes as a Rashtriya Swayamsevak Sangh worker. Sarita Mandhane, one of Loya’s sisters, says she does not know how Baheti came to know that she was at a hospital in Latur picking up her nephew but that he came there and told her not to go to Nagpur since the body was being sent to their ancestral village in Latur district. Biyani later said that they got Loya’s phone back only two or three days after his death, but not from the police. Instead, Baheti handed it over to them. According to her, everything had been deleted from the phone. NDTV, however, quoted Srinivas Loya, the judge’s uncle and Balwant Jadhav, a lawyer friend who “is planning to move the court asking for a probe into the death of Justice Loya”, saying that Baheti was a close family friend of the judge. The report also said that Baheti owns a medical shop and “is said to have links to all political organisations”. The Indian Express spoke to Padma Randad, another of Loya’s sisters, who said Baheti was a “friend” of the judge’s. Srinivas Loya, the judge’s uncle, also told the Express that Loya would visit Baheti’s brother, Dr Hansraj Baheti, for a check-up, every time he came to Latur. What about the bribery allegation? Neither the NDTV report nor the Indian Express article touch on the most explosive of claims made by Loya’s family. 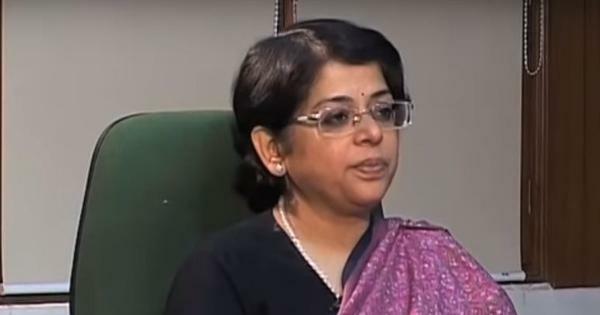 Biyani alleged that her brother had mentioned being offered a Rs 100 crore bribe by Mohit Shah, who was then the Chief Justice of the Bombay High Court, to give a favourable verdict in the case involving Amit Shah. The Express report mentions Gavai saying that Mohit Shah went to Meditrina hospital where Loya’s body was declared dead. It also quotes another Bombay High Court Judge, Justice Sunil Shukre saying he had called up Mohit Shah’s principal private secretary to inform him about the death, since he was also in Nagpur for the wedding. The Caravan said that Mohit Shah did not respond to the family’s comments. Attempts to reach the former Chief Justice by Scroll.in were also unsuccessful. The piece will be updated if and when Mohit Shah responds.